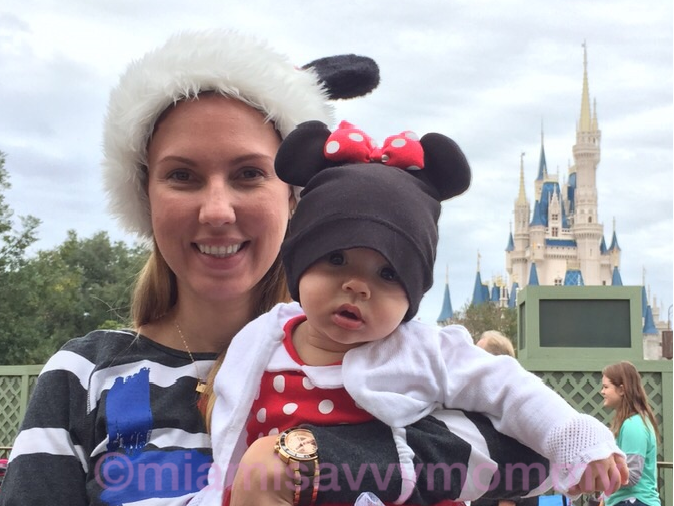 Happy Holidays from the place Where Dreams Come True… Disney World!!! So as a lucky Floridian I’ve got Disney World just 3 hours away. Add to that an Annual Pass and two kids younger than 3 years old, and you’ve got a year full of fun with your little ones. I love Magic Kingdom, but for my 2 1/2 year old boy Hollywood Studios was a hit. They have the Disney Junior Live on Stage show that is a must if your little one watches Disney Junior, as they have their favorite characters live on stage! Even my 6 months old baby girl loved it, as she could enjoy the colors and the bubbles falling from the sky. Another show that my toddler enjoyed was the Lights, Motors, Action! Extreme Stunt Show. They just added Lightning McQueen and Mater to the show, so my boy was thrilled. For a decent place to eat I would recommend The Hollywood Brown Derby. I personally enjoyed their Pan-seared Black Grouper. 1 ) If you have a big stroller than you do not wish to fold, then walk from the parking lot directly to the Ferry. It’s faster and you don’t need to worry about folding and unfolding your stroller. 2) Take advantage of the Baby Care Center! They have changing tables, feeding chairs, nursing room, and restrooms (which are always clean AND empty :)).